The Harvard Qajar Album is an outstanding compendium of nearly 150 beautiful drawings, paintings, and a print produced during the Qajar dynasty of Iran, from the late 18th to early 20th century. The wide-ranging works—spanning narrative compositions, religious subjects, portraits of rulers, and illustrations of humans, animals, and flora—were originally created as technical studies and reference material for artists. Now, they serve as a remarkable record of 19th-century Iranian drawing and design. This handsome book reproduces the entire album at actual size, accompanied by essays that delve into topics represented by the different folios, and that present previously unpublished results of recent conservation work. 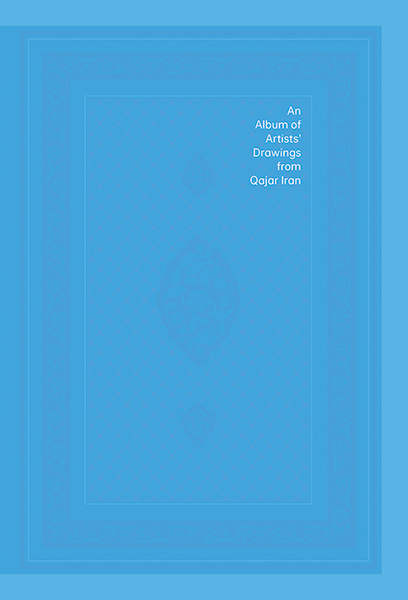 This book offers a rare opportunity not only to appreciate the ingenuity and artistic virtuosity of the individual works, but also to understand how they reflect the social, political, and cultural history of the Qajar period. David J. Roxburgh is the Prince Alwaleed Bin Talal Professor of Islamic Art History and chair of the Department of History of Art and Architecture at Harvard University.